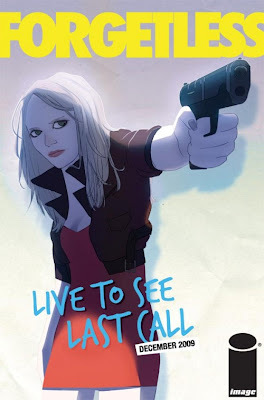 Comics Experience Blog: Guest Blog: Nick Spencer - CE Alum Goes Big Time! Guest Blog: Nick Spencer - CE Alum Goes Big Time! Me? I moved to New York to take Andy Schmidt's Comics Experience class. I should back up a bit. Back in 2007, I was like a lot of aspiring comic book creators. Writing scripts, reading how-to books, searching for artists to collaborate with, and visiting conventions for the sole purpose of annoying editors. Comic book writerdom had been a dream of mine for as long as I could remember, but it felt like this was the time to really take my shot. I felt ready, I felt like I had some good stories to tell... but like a lot of folks in that position, I just didn't know to take it to that next level and make it a profession. Then I saw a story on Newsarama about Andy Schmidt, who was leaving Marvel to start Comics Experience. Here was an editor who had overseen some of the best superhero comics of the last decade, offering people a way to gain his insights and instructions on becoming a better writer and breaking into the industry. The catch? The classes were in New York, and there I was in Cincinnati. But when you want something bad enough, when you're serious about making your dream a reality, you don't let things like that get in the way. So I boarded a Greyhound bus and after 16 hours, I was in New York, and enrolled in Comics Experience. The classes themselves were enormously helpful. You learn a lot about breaking a story down, and making the most of every page. You learn practical advice about how to approach industry professionals. You work with your fellow classmates, and meet comic pros and editors. For me, it was an eye-opening and exciting experience, one I'll always be thankful for. I know for a fact that it made me a much better writer. 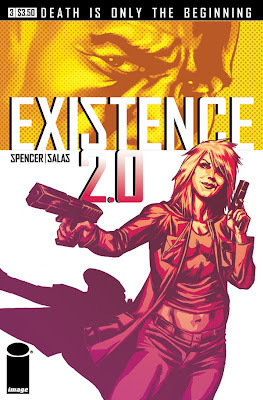 Later that year, the things I learned there paid off, as Image Comics greenlit my first published work, a sci-fi actioner called EXISTENCE 2.0. 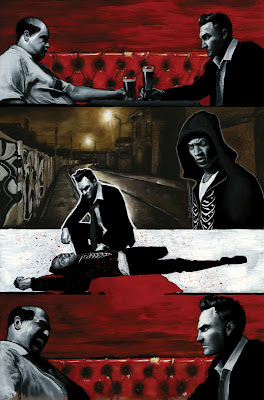 From there, I've been lucky enough to see several new projects take off-- the sequel to EXISTENCE 2.0-- EXISTENCE 3.0, a club caper called FORGETLESS, and an upcoming supernatural noir thriller, SHUDDERTOWN (all from Image Comics). And every step of the way, every time I sit down to write a script, I fall back on some of the things I learned in Andy's classes. I realize a lot of the people reading this blog are probably in the same position I was in a couple years ago. And if I had any advice, it would be this: talent is only one part of the equation (albeit a big one). The people who make this dream a reality are the ones who show initiative, the ones that work the hardest. And now, thanks to online classes, you don't even have to be as crazy as I was. This is the best job in the world. The feeling of getting new pages in from an artist, seeing your book on the shelf, signing at a convention-- it really is everything you dream of. It's worth every second of hard work that you have to put in. And Comics Experience is a great way to set yourself on that road. And by the way, if you'd like to support a Comics Experience graduate, feel free to pre-order my books ;) SHUDDERTOWN #1 is in this month's Previews! Breaking Into Comics: You Can Do It. IDW Is #4 publisher in 2009!